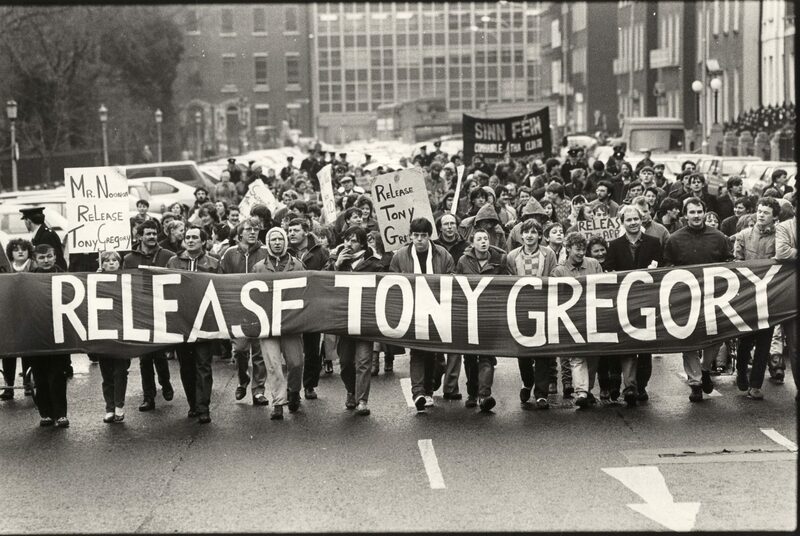 Sé Merry Doyle’s ‘Alive Alive O – A Requiem For Dublin’ chronicles Dublin Street Traders whose Patron Saint ‘Molly Molone’ gave us the famous street call ‘Cockles and Mussels, Alive Alive O’. Through the spirit of ‘Molly Molone’ the film demonstrates how an extraordinary culture has become increasingly fragile with the closing of marketplaces and a city that has sold its soul. Shot in stages over many years, the documentary contains rare archive that captures the demolition of the tenement houses immortalized in the plays of Sean O Casey and a young U2 Liveas they play an inner – city concert. 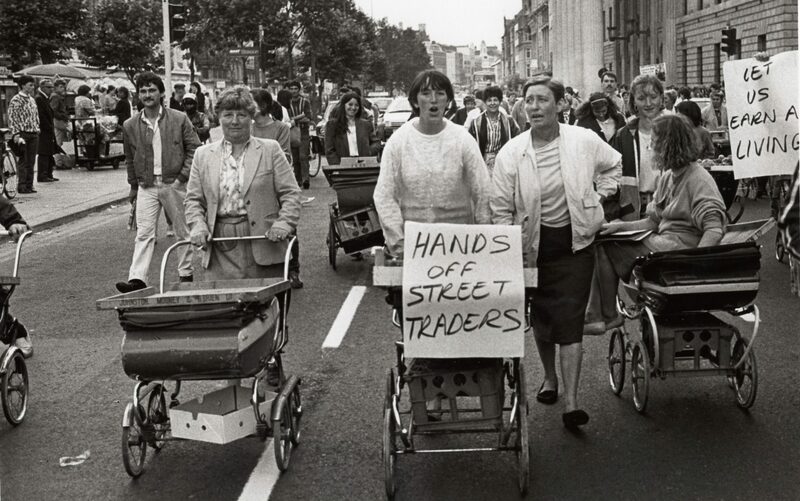 There are poignant scenes of street traders being harassed off the streets by police and we witness the last day of trading in ‘The Iveagh Market’ as one trader opines ‘whatever happened to Molly Molone and the city’s pride in her’. 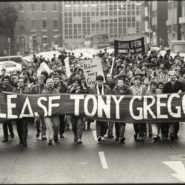 The maverick politician Tony Gregory recalls the time he went to prison for defending the street traders rights. ‘Alive Alive O – A Requiem to Dublin’ could be construed as a grim reminder of all we have so carelessly discarded in the heated pursuit of a glitzy new city. 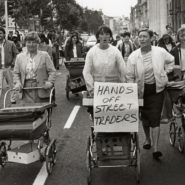 However, equally important to the film, is the portrayal of the staunch character and true-grit of the inner-city “Dub”, the tragic nature of which is enhanced by the haunting narrative of poet Paula Meehan and the voice of Frank Harte as he sings some of Dublin’s best known traditional ballads. The film was premiered at the Cork Film Festival in 2001 and went to win an award at the Galway Film Fleadh and had screening at the Bilbao Film Festival – Spain, the Berlin Ethno Film Festival in Germany. in 2009 it was officially to represent Ireland at the Doc Europa Festival in Lisbon, Portugal.